Fashion and Politics have always been intertwined, from the late 1960s miniskirt protest to Melania Trump channeling her inner Jackie O, there has never been a time in history where fashion wasn't a political statement. So why are people who enjoy fashion not taken seriously when speaking on political matters? Because there are still double standards instilled when it comes to taking interest in politics and fashion. 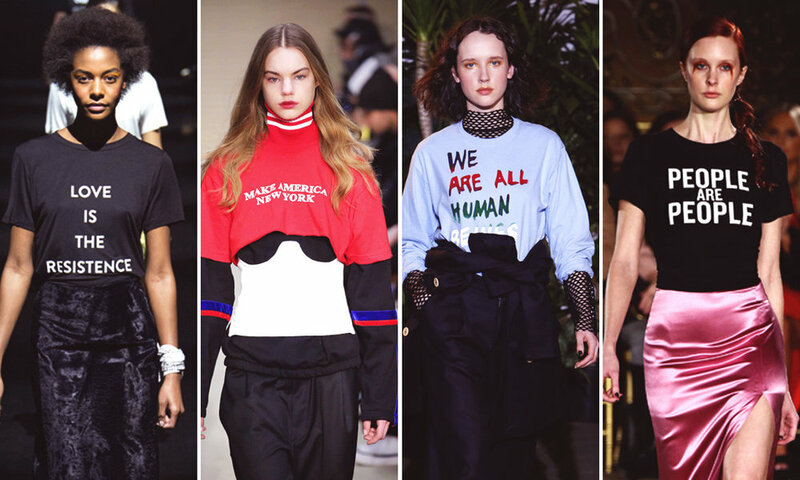 Over the past year, there has been countless amounts of evidence proving that fashion and politics can certainly intertwine. Fashion media outlets, Models, women and men alike, used fashion as a tool to demonstrate their take on current social issues. Seeing this has inspired young men and women to speak out on these issues but, the media and double standards also make many nervous to. People who express a liking in beauty or fashion are still snubbed and rejected from political conversations, as if these interests were exclusive clubs and not to be crossed. Yet, people forget to remember that our clothing does not just reflect our personalities or likings, it also opens a gateway for us to enter influential spaces. Throughout the debate, Tucker Carlson continuously demeans Lauren Duca's political stances based on the fact that she has been a fashion contributor for Teen Vogue. Duca took to her next piece for Teen Vogue to explain "the notion that enjoying fashion precludes the potential for critical thought espouses an absurd double standard with obvious roots in sexism." Our interests do not belittle our intelligence and thoughts on a subject, and we should never let anyone make us think they do. It is our responsibility as American citizens to speak up on matters we truly care about, march for movements that speak to us, and fight to stop policies we know are inhumane. Wanting to have a political opinion does not mean you can't love fashion because we know how much fashion has impacted politics. Regardless if you like to wear pink or if you write about what celebrities are wearing, our voices on political matters should not be deemed unqualified. 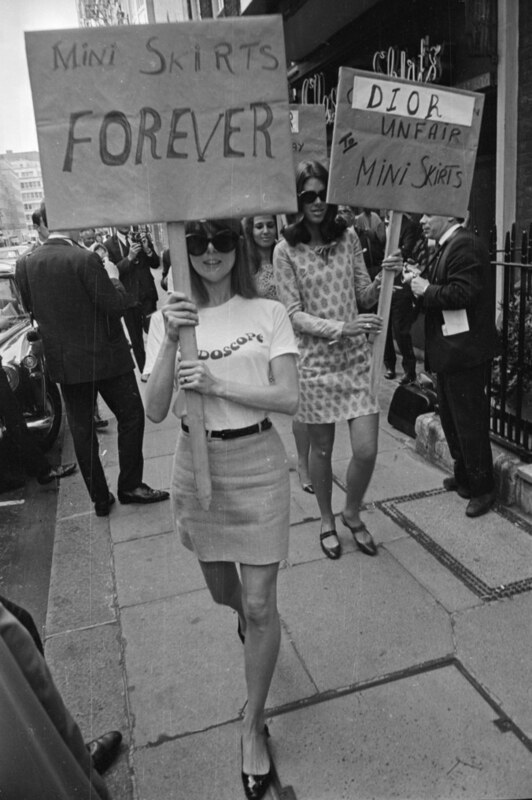 Wear your mini skirts and continue to speak on current political issues, let's end the sexism and double standards.